You know the old saying, “Sometimes less is more.” This old world style has made its’ way back around into our homes once again. 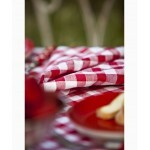 The charming country checks napery is recollective of reunions or family picnics on a Sunday afternoon. 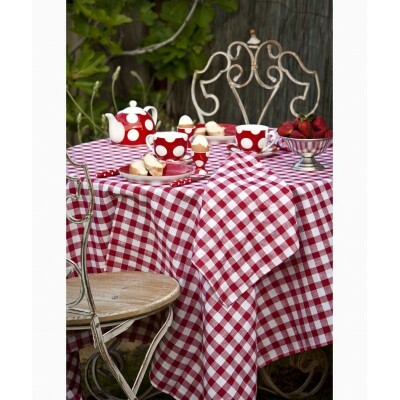 A gingham tablecloth brings a romantic country feel to any kitchen. 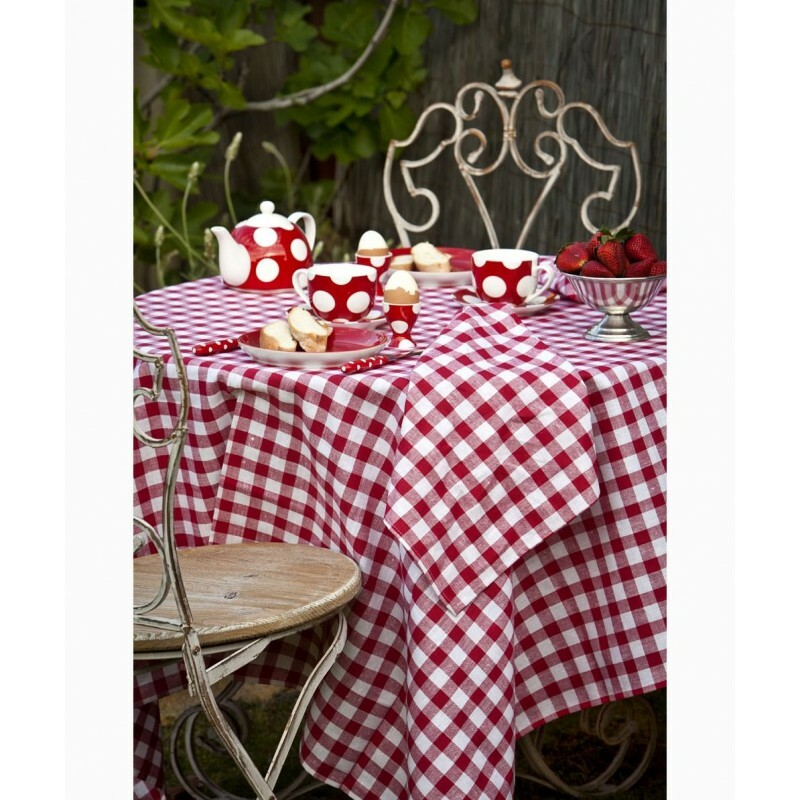 It works especially well with floral window coverings in a retro cottage, keeping the room feeling breezy and light. The shorter textile lets the white legs of the table show through, implying that this table may not be concealed all the time.